Photo courtesy of Karen H.
Shirt found in South Korea. dude-i’m like totally trippin !!! Featuring the new mount in WoW! its natural so just take it! It’s total psychedelia. It’s more awkward than the Diarrhea T-shirt. 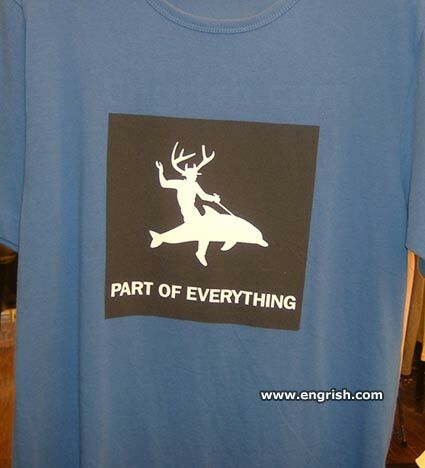 It should appear on the Engrish Stole… er, Store. But I was told the answer to life, everything, and the universe was 42.